It’s good to finally post again. I have recently finished reading What Every Real Estate Investor Needs to Know About Cash Flow…and 36 Other Key Financial Measures, by Frank Gallinelli. 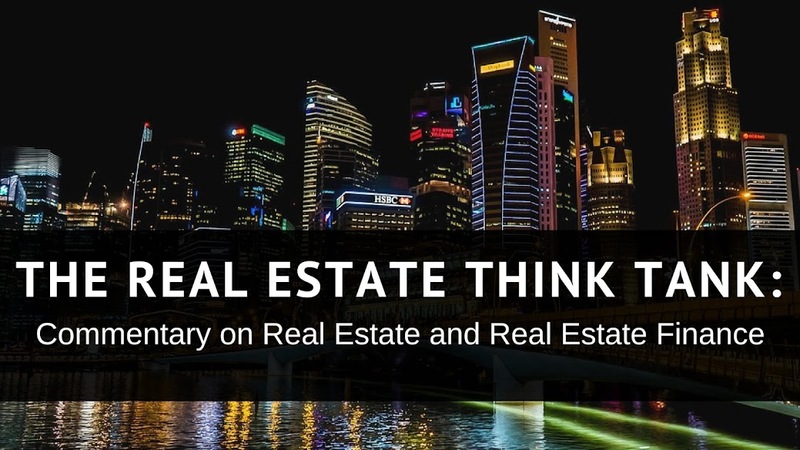 Gallinelli’s book is a well-known, highly respected “must read” for those who are looking to understand the basics of commercial real estate property valuation. Having read a number of books on real estate, I have come to two realizations—1) Books on investment property metrics and valuations, by and large, are very similar, 2) I secretly enjoy reading books about real estate. At first, I thought I was reading for informational purposes, but having read about NOI for at least the 20th time, I have finally admitted to myself that I enjoy doing so. Now let’s get to the meat and potatoes. Discounted Cash Flow (DCF), Net Present Value (NPV) and Profitability Index are all measures of the value of investment property cash flow. The DCF is derived from the sum of a property’s cash flows, present or projected, discounted to the present. Discounting the value of a cash flow is necessary, due to the time value of money, which accounts for the fact that money today is more valuable than money in the future. An in depth discussion of the time value of money is beyond the scope of this post, but I am more than happy to write a post on it, if I receive a few request for one in the comments below. The discount rate chosen for the purposes of Present Value discounting is based upon personal choice, but some of the rates chosen are: the prevailing local market capitalization rate, the historical risk beta of real estate, the historical risk beta of another asset class, the return rate of another investment opportunity, and the inflation rate. Past Once a discount rate has been determined, then one can derive the Present Value (PV) taking the value of the cash flow and dividing it by (1 + discount rate)n, with n = the number of periods from the present. Once this process is completed for each periodic cash flow, then the DCF is simply the sum of these discounted cash flows. It is important to keep in mind that the gains or losses from the sale of the property must be added to cash flow figure in which the property was sold and subsequently discounted. Having discussed the DCF, NPV becomes an easy concept to explain. The NPV is simply the DCF minus the initial investment in the property. This initial investment usually takes the form of a down payment, but not always. NPV is a helpful measure of whether or not a property has achieved a targeted return, which will be the chosen discount rate. If the NPV is zero, then the property is preforming at a periodic rate that equals the discount rate. If the NPV is negative, the property has not achieved the stated discount rate. If the NPV is positive, it has outperformed the discount rate. A large NPV can be used to spice up a presentation and show how well a property is performing above a given return rate. Despite NPV’s usefulness, it is a metric that is sensitive to the size of the initial investment. Larger investments have the potential to generate larger NPV’s. The Profitability Index (PI) is a measure of return that does not have the same sensitivity, making easy to compare amongst properties of different values. The PI is simply the DCF divided by the initial investment. In effect, the PI is a ratio between DCF and initial investment. A PI of one signals that the property is performing at the discount rate chosen for the DCF. A PI greater than one signals over-performance and less than one signals under-performance. These three measures of cash flow value can be very useful, but also have some limitations. First, all of them are limited by the discount rate that is chosen. Therefore, the chosen discount rate must be selected carefully in order for these metrics to produce meaningful results. One must also remember that the DCF does not account for the value of the initial investment and the NPV is sensitive to the size of the initial investment. Despite these limitations, however, DCF, NPV and PI can be useful in gaining some perspective on the value of an investment property. The more astute reader of this post may have noticed that I neglected to define cash flow. Typically, the cash flows used for the DCF, NPV and PI are the before tax cash flows. Before tax cash flow is defined as the Net Operating Income (NOI) plus the proceeds from any financing subsequent to the property’s original mortgage, plus any interest earned on the income of the property from bank accounts or escrow accounts, minus the property’s debt service and minus capital additions. Cash flow after taxes can be used for these figures, as well, but the standard practice is to use before tax cash flows in order to make the figures comparable across different purchasers and properties. So, that is a brief overview of DCF, NPV and PI. They can be helpful, however, it is important to understand their purposes. Other return metrics, such as Cash on Cash Return and Internal Rate of Return are also frequently used to evaluate investment property and provide different information than the discounted cash flow analysis discussed here. None of these measures should be seen as superior or inferior to the other, but instead should be used as different tools or hues (for those who prefer a more artistic metaphor) used to evaluate the value of an investment property. When undergoing property valuation, however, one must keep in mind the difference in function between market metrics such as cap rate, per square foot costs, and net income multiplier and return-based metrics, such as IRR, NPV, DCF and PI. The former give one a sense of the activity of a particular market, the later describe the performance of a particular property.